Codemasters recently announced that F1 2013 will launch on October 4th for the PlayStation 3, Xbox 360 and Windows PC! 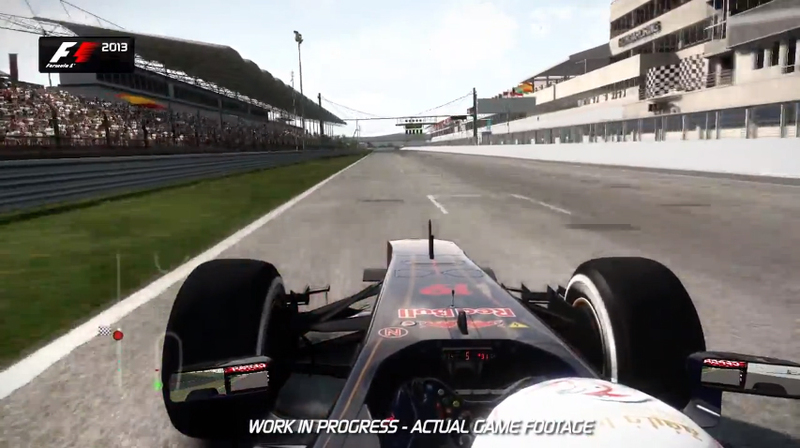 To mark the release date announcement, Codemasters has released a hot lap video using work-in-progress in-game footage featuring the Hungaroring circuit which is set to stage the Formula One Magyar Nagydij 2013 this weekend. The video shows Toro Rosso–Ferrari’s Australian driver Daniel Ricciardo taking on the famous circuit and is narrated by Anthony Davidson, former Formula One driver and Technical Consultant on F1 2013, who describes how drivers should attack each corner and carry as much speed as possible through the tight and twisty track in the battle for points this weekend. See the hot lap video below!